So you’ve made the decision you’re going to sell your home. Then you stand back, take a look at your home and begin to get overwhelmed when you realize there are endless projects, old furniture, dated fixtures, and think, “where do I even begin?” Below are simple and cost-effective improvements that you can do to improve your home to get it ready to sell. These steps will attract more buyers which will result in receiving top dollar when it sells. 1. Curb Appeal is a Must. Buyers will drive by homes and at that quick moment decide if they should get out to tour the home or continue driving. I’ve seen first hand people drive up, slow down, and then keep driving. The curb appeal is the first impression and first impressions matter! Easy and cost efficient fixes that have a great impact are power washing, keeping the lawn mowed with fertilizer, weeding, & adding flowers and/or potted plants will. Adding new address numbers, changing out the front door and lighting hardware if its dated, and painting the door will make it inviting to buyers to enter and tour the rest of the home. 2. Become a Clean Machine. Keep your home as clean as the you would want your hotel room at the Hilton to be. This means no clutter, countertops sparkling, mop, dust, vacuum, wash windows, baseboards, bathrooms sparkling, laundry put away, etc. Install an air plug freshener to keep the home smelling fresh especially if there are animals in the home. I highly recommend walking through a Model Home and look at how it’s staged. There is never keys, magazines or jackets left out. The less personalization the better. 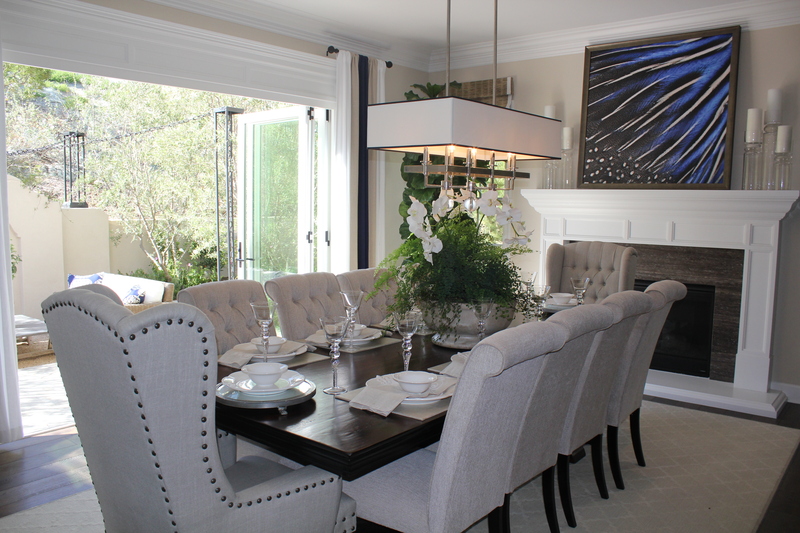 Model Homes are typically neutral and appeal to the masses. Invest in storage bins and declutter the home with personal items. Keep one or two items on the kitchen counter tops (coffee pot is ok, everything else can go). Remove magnets off of the refrigerator, put personal items in the bathroom (toothbrush, make-up, robe) away, etc. It may be a hassle or uncomfortable to live like you’re in a Model Home but it will pay off when buyers can picture themselves living there instead of you living there. 4. Out with the Old and Worn. Even if you love your old comfy recliner, if it is mismatched from the rest of your furniture, stained or has holes, you have two options: Get slip covers or remove it for the time being. Staging or renting furniture is a great option as well. Less is more, and you want to show off how open and large the rooms can be so take away large bulky items or items that close off the room. Add new pillows to couches, replace shower curtains, use polish furniture to hide chips, replace light bulbs on all lamps and add fresh flowers will add nice touches to make your home shine. 5. Tim the Tool Man Taylor. Go through your home and make notes on what can easily be repaired. Change light bulbs, fix paint chips, replace dated hardware, and replace outlets & covers. Hire a professional for necessary jobs such as plumbing or electrical. 6. Go Bold or Go Home, except when selling your home. Again think Model Home. Neutral colors that appeal to the masses are the way to go. Save your love for bold, bright colors for your next home. Keep colors lights and airy. Dark colors make rooms appear smaller. When showing your home keep blinds/drapes open to maximize natural light. Make sure all light bulbs are working and turned on during showings. Use neutral colors, utilize natural light, and stage furniture to show off the rooms space and function when selling your home. 7. Have a paint party. Paint is your greatest ROI. It can make an entire space look brand new, clean and fresh. Re-read #6 about neutral colors and go to town. Wash, then paint baseboards white to enhance the paint on the walls. If you don’t decide to paint, use a Magic Eraser for scuff marks, they work great. By now you’re on the home stretch. You’ve painted, cleaned, done yard work and have people getting it confused with the brand new homes down the road. Just don’t forget the last lap of the race. Regards to flooring, replace worn/old carpets, get an area rug if floors are not in the best condition, or consider refinishing hardwood floors. Replace broken tiles. In regards to the walls, add a few pieces of nice artwork or photography. Remove the 20 family photos hanging on your walls and limit it to one or two per wall (if any at all). Become a minimalist for the time your home is on the market and it will be worth it in the end as you’re getting top dollar for your home. For additional real estate tips, resources, or to search the Multiple Listing Service (MLS), log onto www.threelagoons.com. We welcome you to your final destination for information about buying and selling real estate in North County San Diego, CA. This entry was tagged beach real estate, carlsbad real estate, Carlsbad Realtor, curb appeal, encinitas real estate, homes for sale, Megan Schenck Real Estate Agent, North San Diego County real estate, San Diego real estate, san diego realtor, selling your home, Southern CA real estate, staging your home, Three Lagoons Realty, tips to staging your home. Bookmark the permalink.